Christian Business Blog > Posts > Affiliate Marketing > What Are Affiliate Programs? Affiliate Programs are relatively an easy way to make money online. If you have been doing research online, you may have come across programs that are known or referred to as affiliate programs. Affiliate programs are a great way to make money online, but do you really know what they are? If not, you are urged to read on. Before examining affiliate programs, namely what they are, it is best if you first familiarize yourself with internet marketing. All business owners need to market their business to the general public. Since all online customers are internet users, online business owners need to market their products or services to the internet community. This is where the term internet marketing comes from. A wide variety of different marketing tactics are considered internet marketing. Just one of those marketing tactics is affiliate programs. What is nice about affiliate programs is that they not only benefit online business owners, but they also benefit other webmasters; webmasters just like you. When an online business owner, who is selling a product or service, wants to increase their sales, they seek assistance from other webmasters. This assistance is typically sought from webmasters who have a website that is, in one way or another, related to the product or service being sold. For instance, if the product being sold is a work at home e-book, webmasters running work at home business sites are likely to be sought after. If and when this partnership is formed, the exact details will be worked out. In most cases, you, the webmaster, will be asked to display links or banners that lead the other website; the one where the product, in this case a work at home e-book is available for sale. Speaking of being rewarded, this reward is referred to as commission. With affiliate programs, you receive commission for helping an online company generate internet sales. The amount of money that you receive will all depend on the company in question, as well as the amount that you originally agreed to. Many of the businesses who are looking for affiliate partners advertise, upfront how much their affiliate partners make. This amount is typically a percentage of the sale. As previously mentioned, that percentage will vary, but it is not uncommon to see percentages from three percent all the way to fifteen percent. If commission is not determined by percentage, it will often be a flat rate amount. In a way, the affiliate program that you choose to apply to will have a large impact on the amount of money that you make. That is why it is extremely important that you choose an affiliate program wisely. It is important that you thoroughly examine the amount of money that you can make, through commissions. 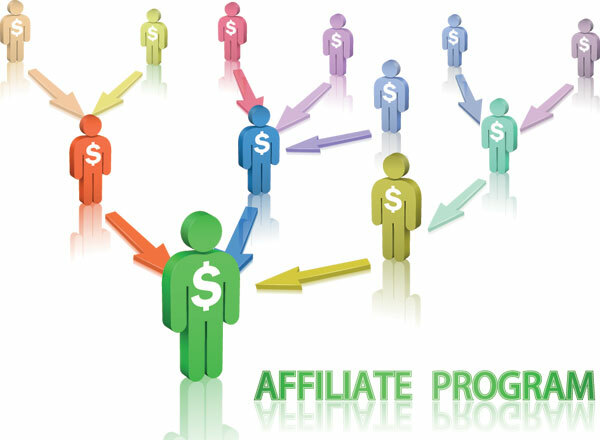 It is also important that you familiarize yourself with any rules or restrictions that an affiliate program has. For instance, there are some rules as to how you can link to or promote an affiliate product. It is important that you not only familiarize yourself with these rules, but follow them. If you do not, you could find yourself disqualified from participating in the program. In short, affiliate programs are a great way to make money online. Affiliate programs allow you to legitimately make money online without having to have your own product. It is hard, if not impossible, to find other online money making opportunities like this one. Watch a video of one of my favorite affiliate programs right here to see how you can earn Free Cash Daily.